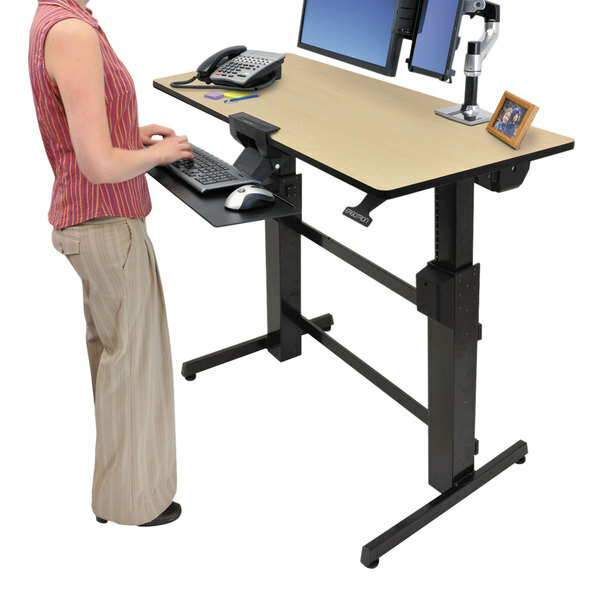 WorkFit by Ergotron 24271928 Birch and Black Sit-Stand Workstation / Stand Up Desk - 47 5/8" x 23 1/2" x 50 5/8"
Increase productivity and employee health with this WorkFit by Ergotron 24271928 birch and black sit-stand workstation / standing desk! 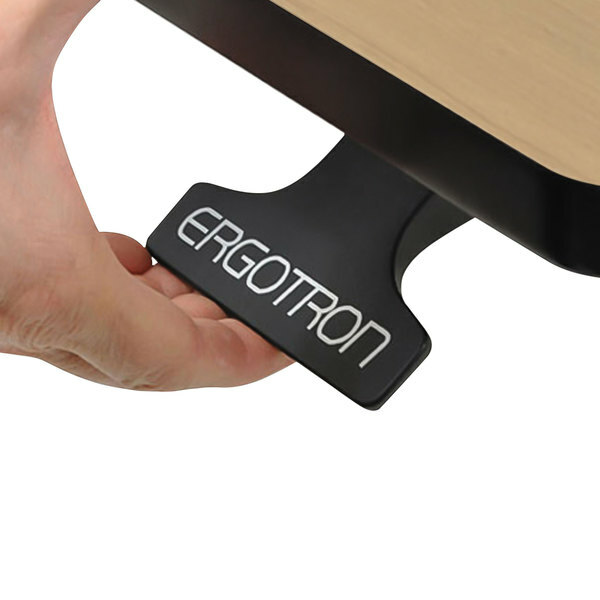 This desk allows employees to sit or stand while they work and switch positions whenever they choose. 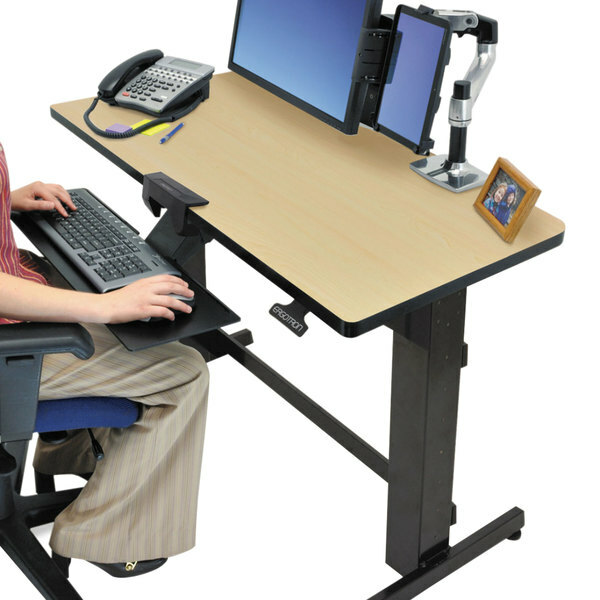 And because it adjusts vertically, the desk won't obstruct or extend into your work area. 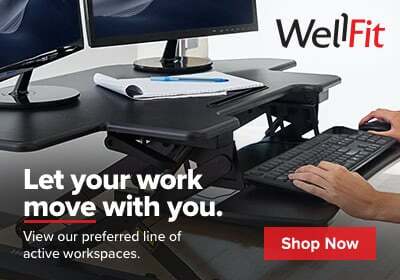 Instead, it maximizes workspace. The worktop is made of durable MDF (medium-density fiberboard) and melamine, while the frame is made out of steel and has adjustable glides to keep the work surface level.